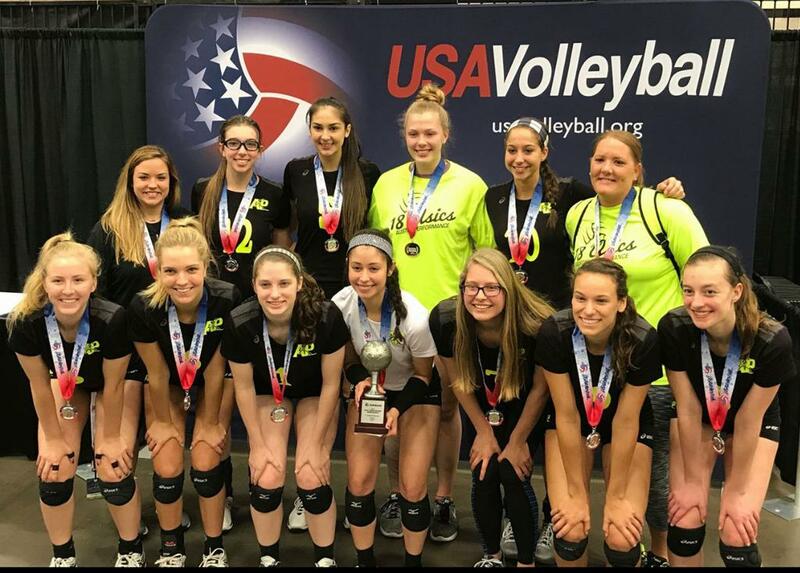 Congrats to the 18 Asics players and coaches Tara Hatfield and Christi Coles for bringing home a Silver Medal at USAV Nationals in Dallas. All-Tournament Honors went to Kaliegh Skopal, Alana Geymer and Andrea Janss. Congrats ladies!! Coach Tara had this to say about the team, "They overcame adversity and played even better after our injuries and rallied together and learned how to win and be confident in big moments. I am one proud coach for how far they have come this season, they are ready for the next level!"